GCVideo is a custom FPGA hardware solution for GameCube to display up to 480p/576p video resolution using Component Video cables or HDMI cables to gain improved clarity, sharper details, and improved color separation which was previously capable only using the official GameCube Component cable. This project is based on open source code by Ingo Korb and is hosted on GitHub @ https://github.com/ikorb/gcvideo however, the code used in the product versions sold at BadAssConsoles has many custom improvements and optimizations not yet available on the opensource version nor from any other sellers distributing products using the GCVideo GitHub code. What Resolutions does GCVideo support? Does GCVideo support all GameCube titles? GCVideo supports all GameCube titles, GameBoy Player titles, GBI and other homebrew. Some titles do not support progressive scan but can be forced into progressive scan mode using Action Replay codes or swiss-gc homebrew. How many versions of GCVideo are there? There are two versions: Analog and Digital. Is GCVideo compatible with any GameCube? GCVideo is fully compatible with ALL versions and ALL region of GameCube. Later model GameCubes without the Digital port will require extra steps to enable functionality. Can GCVideo be updated when new firmware is available? Yes. Firmware update instructions are provided the User Manual with the appropriate version of GCVideo. Can GCVideo-ANALOG be installed without removing the Digital Port? Yes. 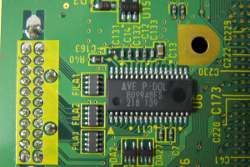 The design has been created to allow GCVideo to be installed to the underside of the motherboard allowing direct video output from the MultiAV with zero external modifications to the console. Which is better: RGB or YPbPr? The general consensus in retro gaming is RGB is better. However, this does not apply to GameCube. The Digital YCbCr signals are also directly routed to the GameCube Digital port allowing use of the Official Component cables to receive the pure digital signal for conversion into its Analog form, YPbPr. The Official Component cable greatly improves picture quality and enables supported games to be displayed in 480p (Progressive Scan). In regards to GameCube, YPbPr is a "more" native translation from the original digital signal while RGB requires additional software color conversion and interpolation algorithm to upsample the native 4:2:2 color signal to generate a 4:4:4 signal. NO !! GCVideo can produce improved picture quality faster than the GameCube's own video converter and has been measured to be 0.000000678 seconds faster to produce an image. Hence, no lag. How fast does GCVideo switch video resolution from 480i to 480p? GCVideo Digital and Analog switch displayed resolution in 4 frames or ~66.6ms. 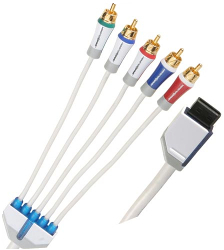 Official Component Cables switch displayed resolution in 6 frames or ~100.0ms. Can Framemeister (XRGB mini) be used with GCVideo? Framemeister can be considered as a good solution for older consoles which do not support 480p signal. It can offer options for additional filtering from GCVideo output but overall results may vary depending on Framemeister configuration settings used. If possible, avoid connecting GCVideo Digital to the Framemeister HDMI input. The resulting image from the Framemeister might be shifted to the far left of the screen with no option to adjust it. Sometimes Framemeister will misdetect video mode when switching from interlaced to progressive mode. This can be bothersome since many game titles often switch from progressive to interlaced mode during cut scenes, then switch back to progressive mode for actual gameplay. Keep in mind, there have been many reports that Framemeister has issues handling direct 480p signal from GameCube and other consoles. Framemeister has also shown to have inconsistent results with 240p from GCVideo HDMI input. Both GameCube progressive signal and GCVideo Line Doubler feature requires no deinterlacing thus negating the use of any external deinterlacers such as Framemeister. As for upscaling, most TVs can handle this feature pretty well. Unfortunately, for anyone sensitive to lag, Framemeister processing features can introduce "somewhere about 20ms of input lag" or more. Due to these various factors, no support will be offered for ensuring proper compatibility when used with Framemeister but for anybody who owns one, you are more than welcome to experiment and decide if using Framemeister is right for your particular setup. 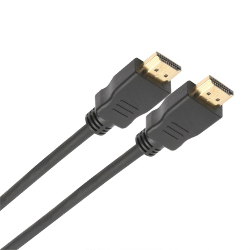 How does GCVideo compare to Wii2HDMI or HDMIKey? Just like GameCube, Wii has Digital video signals that must go to an Analog Converter to output Composite, Component, Svideo, or RGBsync. The conversion of Digital to Analog produces a lossy video. Wii2HDMI was not designed for direct digital signal input. Instead it converts a lossy Analog Component video signal into a digital signal. By the time your TV receives the HDMI signal it will have gone thru multiple conversions never being as pure as the original digital source. Wii2HDMI cannot add any additional detail to the picture quality thru the HDMI conversion. Which Version of GCVideo is better, Analog or Digital? Some people may desire an Analog solution while others may desire a Digital solution. Both versions are great, but the real question is which version is better for “your” intended usage. My CRT does not support 480p. How can I disable 480p mode with GCVideo Analog? By Default, GCVideo Analog is set to allow 480p mode detection. This function can be disabled and is covered on the User Manual. How does GCVideo switch between RGBsync, Sync on Green and Component video modes? This function is covered on the User Manual. Can GCVideo Analog and Digital be installed together? Yes. A dual output design has been created specifically targeting streamers or competitive gamers but can also be very useful in many other situations such as having the ability to connect GameCube to any type of TV.